It came to me one day to visit the native land of our Great Compatriot, Blessed Father Jan Beyzym, who following the divine call devoted his life serving the needy. A significant part of his life he spent serving the most miserable people of all - lepers of Madagascar. Where is a will there is a way. 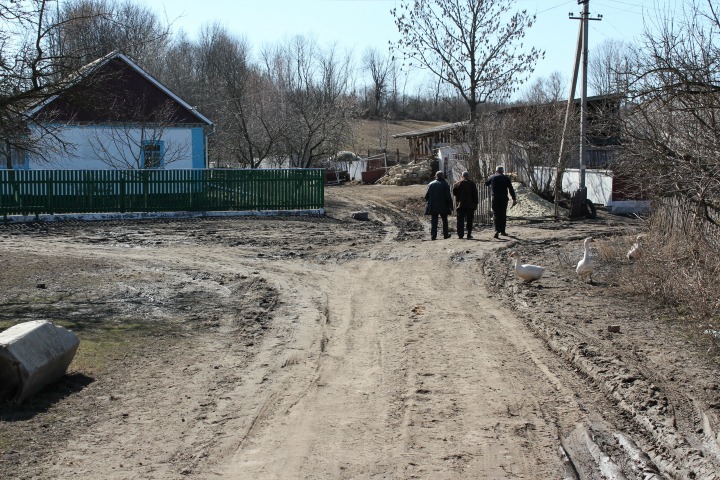 Jesuit missionaries from our Kraków province have been working in Grechany, a former village, now a district of the city of Khmelnitsky since the 90s of the last century. They run the parish there. They built a retreat house, where apart from the regular Ignatian Spiritual Exercises, sessions and conferences, meetings of neocatechumenal communities, catechesis for local children and young people takes place. Blessed Father Jan Beyzym was chosen for the Patron of the house. The pastoral centre protector was beatified in 2002 on Kraków Błonia by St John Paul II. Father Beyzym, Volyn noble citizen and our advocate in Heaven, can be happy looking at his confreres, who, a century later, evangelize with the same devotion and enthusiasm. They bring the light of Christ to everybody willing to hear the Good News of our salvation. 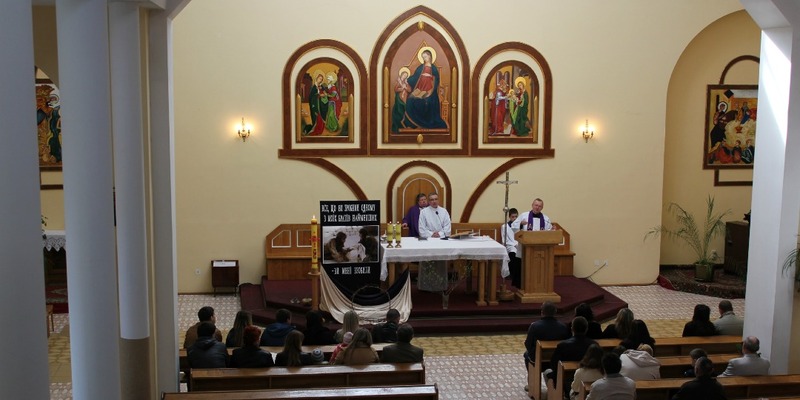 Lenten retreats are the part of the pastoral program in St Anna’s Parish in Grechany. Dr. Stanisław Łucarz SJ, our confrere from Kraków and Professor of Ignatianum Academy, was to preach retreats. Friar Jerzy Zadwórny SJ, our missionary in Chorny Ostriv, was to pick him up in Kraków. So I decided to join them. We left Krakow at 11.15 a.m. on the 23rd of March and headed in the direction of the Medyka border crossing via Rzeszów and Przemyśl. It took us five hours to get there. After a short border check we left for Grechany via Lviv and Ternopil. The travel there took us four hours. The visit to Ternopil was in my plan, as I wanted to find at least some traces of Jesuit boarding school in Ternopil, where Father Beyzym worked, but it was getting quite late and I gave up my plans. 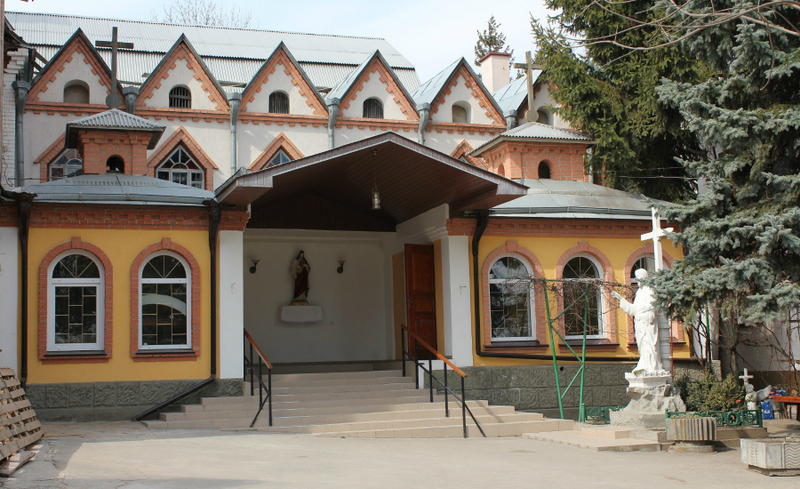 Father Beyzym worked in Ternopil boarding school, founded in 1820, three times. The first time was in 1878, when he was sent to work with the school students as a part of his monastic formation practice. He fulfilled the duties of a tutor and a boarding school prefect for about a year. Later, being newly ordained, he fulfilled the same responsibilities. After he was ordained by Kraków Bishop Albin Dunajewski on the 26th of July 1881, he carried out the prefect duties there from the 26th of July1881 till 1884. The third period of his work in the boarding school was after his third probation (the last year of the Jesuit monastic formation) i.e. from 1885 to 1886, when the boarding school was transferred to Chyriv (now a small city on Ukrainian - Polish border). He was the teacher of French and Russian in Chyriv secondary school. Chyriv boarding school and secondary school (1886 - 1939) continued Ternopil school traditions. Thanks to high educational level, Chyriv boarding school was known as the elite school. Its graduates held high state offices in Polish Republic. It took us ten hours to get to Grechany, a Podolian village during the times when those lands belonged to Polish Kingdom. Nowadays it is one of the districts of the city of Khmelnitsky (was named after Bogdan Khmelnitsky, the Cossack Hetman). At 11.00 p.m (Polish time - 10 p.m.) we reached the place of our destination. St Anna’s church is a reconstruction of the former cemetery chapel. The parish priests told us that it was rebuilt in the 80s of the last century. Even anti-religious Soviet regime, repressing all the signs of dissenting views nonconforming with the Marxist doctrine, could not prevent the reconstruction. Those were the years of “minor thaw period”, the years when Soviet system showed the first symptoms of collapse. It was absolutely impossible, even dangerous, life-threatening even to think to start such an activity in earlier decades. The proofs of calculated cruelty of Communist power towards the people, who desired to be faithful to Christian traditions, to ideals got out of the family, are visible everywhere. 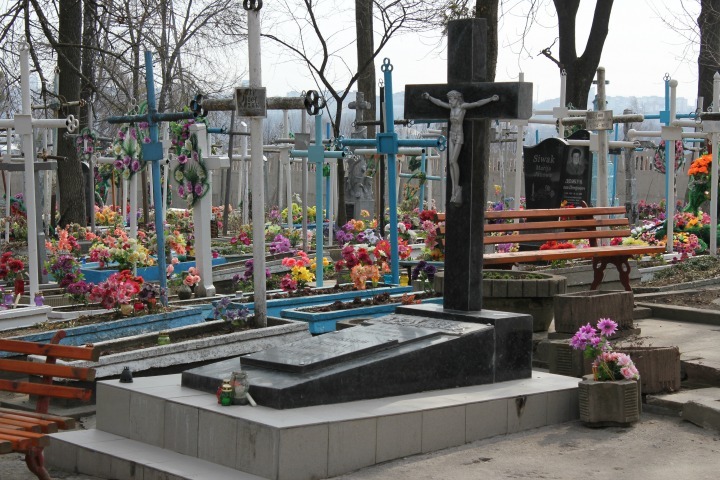 On the cemetery, surrounding the church, just in front of the church main entrance, there is a common tomb of about 1000 people from the local villages, murdered for their faith during the time of Stalinism. The monument to the victims of Stalinism is simple. 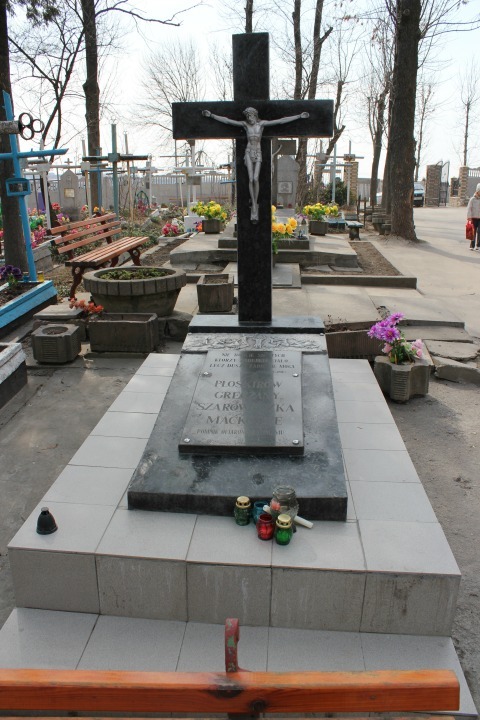 It is a cross and a tombstone with the bas-relief of the murdered calling to God. 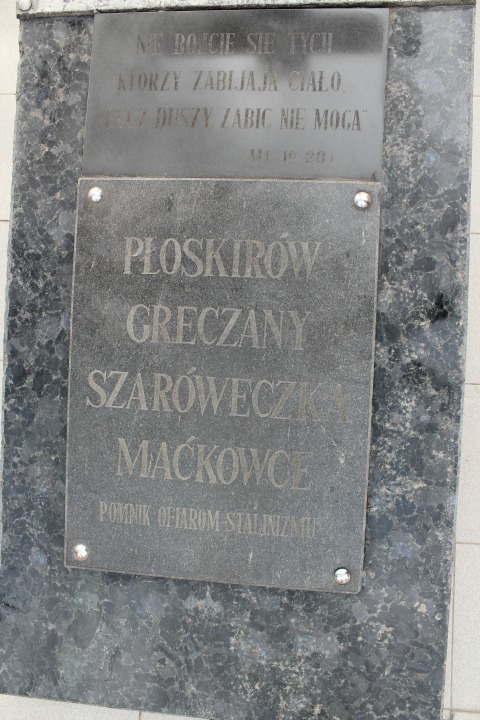 The inscription below reads: “Do not be afraid of those who kill the body but cannot kill the soul” (Mt 10:28) PŁOSKIRÓW, GRECZANY, SZARÓWECZKA, MAĆKOWCE. THE MONUMENT TO THE VICTIMS OF STALINISM. Do not be afraid... And they were not... They were not afraid to admit to their belief in God, were not afraid to worship Him, were not afraid to pray the Rosary, to wear the cross or have the Rosary, or other objects of cult with them. For that they were starved to death, tortured and murdered. Zofia Pawlowska, Grechany resident, recalled her family history. She said that only her father survived “out of six siblings. Her grandparents, families and children died”. 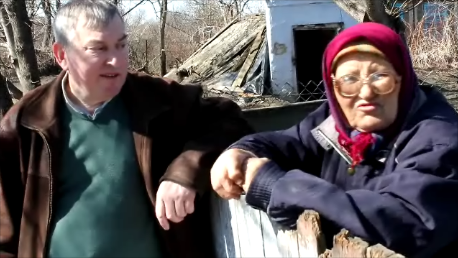 Ms. Zofia wrote in her diary (published by her grandson in the Internet): “I came to know that the big common grave was discovered that very day. When the old buildings were demolished (to prepare a construction site) in the basement of one of them, the former building of NKVD (Soviet secret police) the grave was opened. It happened somehow that a lot of local people were able to see the grave. The cellars, in which the bodies of killed by NKVD people were walled up since 1937, were concreted up and tarred. As there was no air access, the bodies did nor decompose. When the dozer removed the cellar floor, the workers saw the piled bodies. It was a terrible scene of unfathomed crime. The Security Services were not prepared for such a case. It was impossible to hide it from people. The whole city came to see the grave. A lot of people tried to look for their relatives. People recognized a well-known woman, a lead worker, who was awarded a Golden Star for her achievements in 1936 or 1937. Everybody knew that she was in Moscow to get the award and she used to wear a cashmere shawl. She was recognized by this shawl. She was killed by a headshot like all the others. To get the situation under control, the militia blocked the street and started to disperse the crowds with the rubber truncheons and tear-gas. The suffocating smell of gas and the odor of decomposing bodies were unbearable. The authorities managed to remove the victims’ remains out of the city into the fields during the night. The department store is located at this place now. I was there buying something and the picture of victims flashed before my eyes”. In honour of all the Martyrs, murdered for their faith, beliefs, for carrying cross or Rosary, the chapel by the new bell-tower will be consecrated. On one side of the church is a retreat house. The patron of it is Father Beyzym, who devoted his life serving sacrificially his leper brothers and sisters. On the other - all those mostly unknown, who did not give up under the yoke of Stalinism and remained true to the Christian ideas for the love of Jesus Christ, Church, Motherland implanted by their mothers. They remind us and future generations that there is neither peace nor secure life without sacrificial love. Such love is impossible without God in one’s heart, without believing in Him, our best Father and Love, our only God. The next day at 9.45 a.m. we (together with Grechany Parish Priest Father Henryk Dziadosz) headed in the direction of the village of Velyki Beyzymy, the place of Father Beyzym’s birth. We were filled with the hope to find some remains, memories of Father’s family. 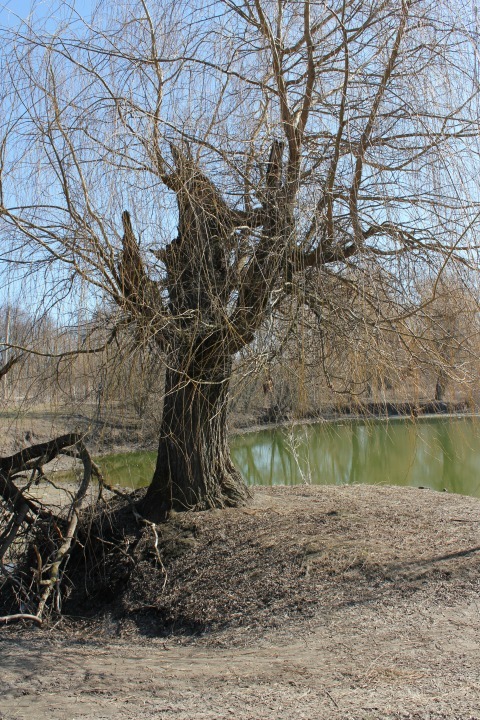 Velyki Beyzymy, a small Ukrainian village in the south of Volyn (a historic region in the north-western part of Ukraine) is located on the banks of the river Khomora. 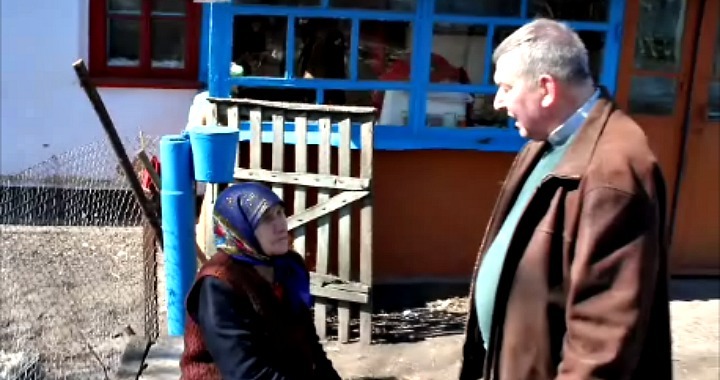 There is growing interest to the village nowadays because of the Blessed Father. The village is in the distance of 100 km to the North and the road is not of the best quality. Having arrived at the place we expected to see at least the remains of the manor-house, where Father Beyzym was born, the remains of barns, maybe other premises… Some kind of memory… While driving along the poor country road we could see nothing of the kind. We decided to ask older generation of the village inhabitants about the manor-house. They could know, or remember from the stories that may have been told by their ancestors about the Father Beyzym’s family. The Beyzyms were a noble family, they should have lived in some kind of a mansion. Good afternoon. We are from Khmelnitsky and are looking for the Beyzyms’ family house, a kind of a palace, maybe, or a castle? Do you happen to know if there was such a mansion somewhere about here? God knows. No, I do not. People say that it was somewhere here, on the hill. Oh, yes. There was. Some gentry lived there on the hill. There was a pond downhill. There are weeds and thickets everywhere nowadays. And I am old now and go nowhere. Maybe you remember something from your childhood? What can I remember? I was born in 1921. And the recollections of the family? Even if they told something, I do not remember. Was there a manor? Yes, there was once and there were its remains. I remember going there with my parents. The roof was destroyed. There were only walls. The refugees lived there. When I was 10, the remains of the palace or mansion were visible. There is nobody to tell about that anymore. The old generation died. Thank you very much for the talk. Good afternoon. We are looking for the Beyzyms’ manor. People say it was somewhere there. Do you know anything about it? Yes, there was a manor there. There, - she pointed at the road, - go along the road and then up the hill. 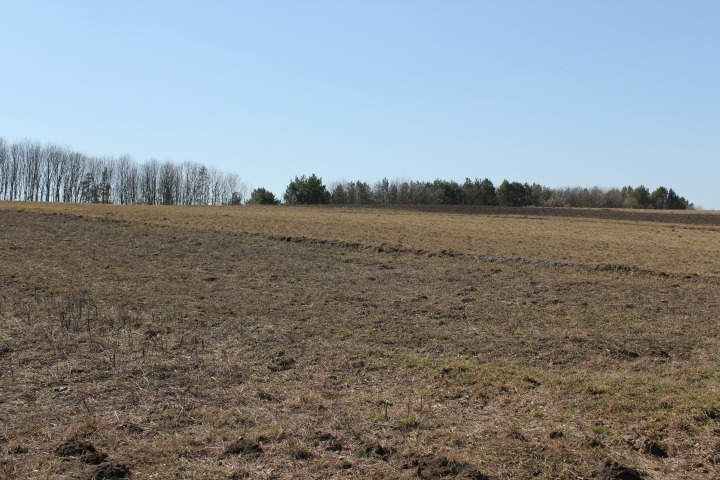 Cross the ditch and it is there, on the top of the hill… But it was dug and ploughed there. There is nothing left there any more. Ok. Is it there where this road is? Yes. It is about 200 m. up the hill. It is not far. You can go there. The manor was very big. Its territory reached the pond. 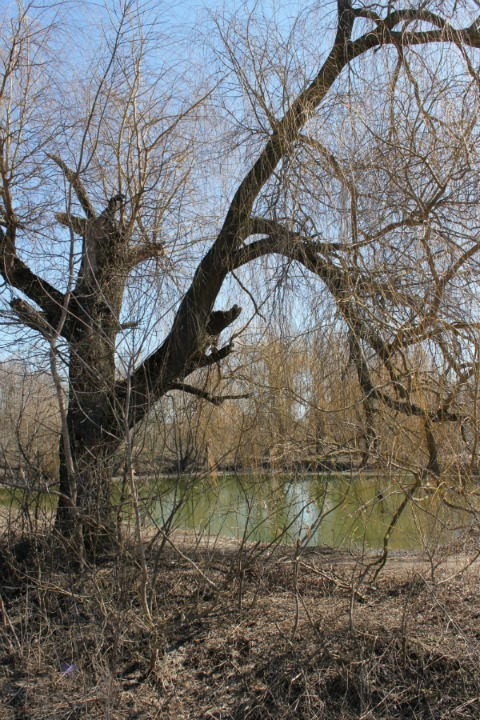 It is overgrown with willows. And there, down the hill, behind the forest… there was another pond. So, we moved on further down the country road that was quite muddy and with patches of snow that did not melt yet. In the distance we saw the entrance to a stockyard. It looked like a farmstead. There was a cart, wooden sheds and fencing. 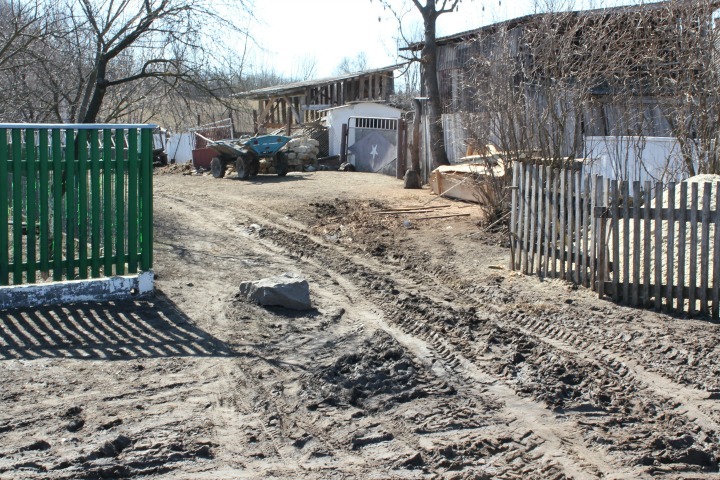 On the basis of the information we got from the local people, we made a conclusion that the access road to the Beyzyms’ manor house was at the place of this very entrance to the farmstead. Up the hill there were local people’s gardens, as the land of the Beyzyms was divided among the village community. Further on we saw some thickets. 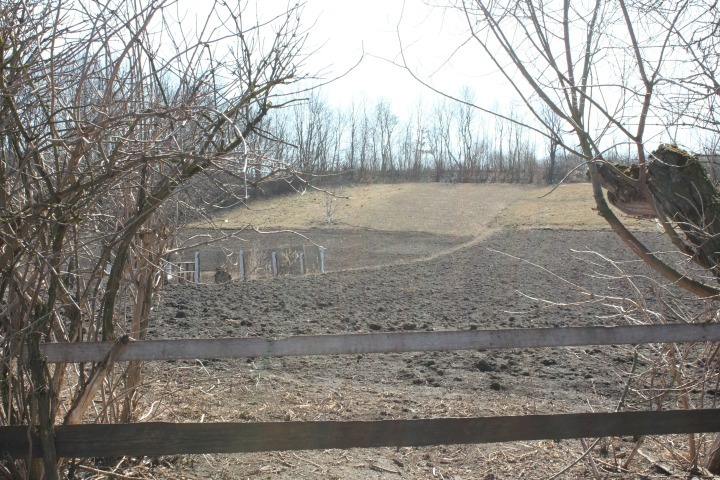 It could be the place of a former pond, or even buildings. But there was no sign of the former manor house. There was only the road leading to the manor (according to the local people accounts) and the field that remembered the past. To ascertain the real state of things would be impossible. On our way back, not far from the manor possible area, we tried to find out about the Beyzyms’ manor house again. This time we learned that there was an old, destroyed house, which existed to the end of 70s of the last century. It was even used by the local kolkhoz (collective farm in the former Soviet Union). Then the land was allotted among the village inhabitants. Each family got a hectare or a half-hectare. The total area was 12 hectares, probably, as our interlocutor did not remember exactly. “But it is beautiful there in spring and summer”, - added he. This short one day trip to Father Beyzym’s native shore was quite satisfying. We were assured that those were Father Beyzym’s familiar sights. That was the place where he was born and probably spent his early childhood. We have scarce evidences. There is not a sign of the manor house. 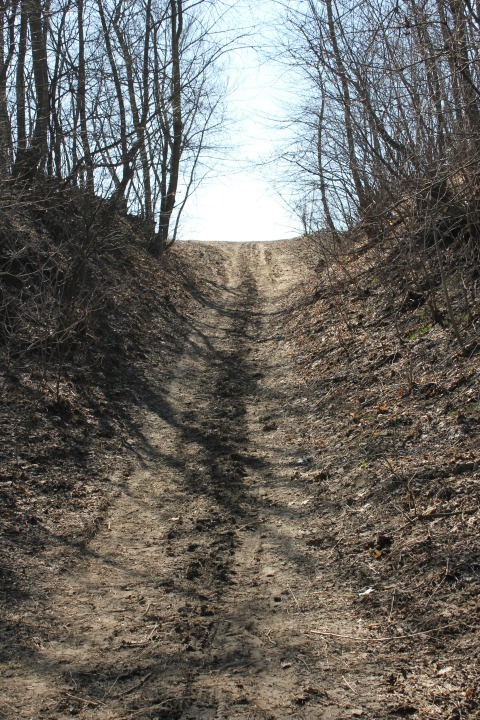 There is only a settlement Velyki Beyzymy founded by his ancestor, the road leading to the manor house, as local people say and the field. We did not meet anybody, who could give more detailed information or give a hint for the further research. We returned home (to Grechany) and then, after finishing the Lenten retreats, to Kraków. We are sure to return here again, even if not to look for the historical evidence, but to pray and ask Father Beyzym to be our intercessor with God. And, as Father Henryk said, to think about the installation of a memorial sign (with consent of the land owners) to remind that here, at this place Blessed Father Beyzym, the Great citizen of Volyn and the Servant of the lepers in Madagascar, was born. 1. Cz. Drążek SJ, Blessed Father Jan Beyzym SJ, The Servant of Lepers, Biography, WAM Publishing House, Krakow 2002, s. 7-35. 2 INTERNET. SALON 24, Independent forum of opinion journalists. Zo­fia Pawlowska, Memories from behind the Bug 1921-1945.